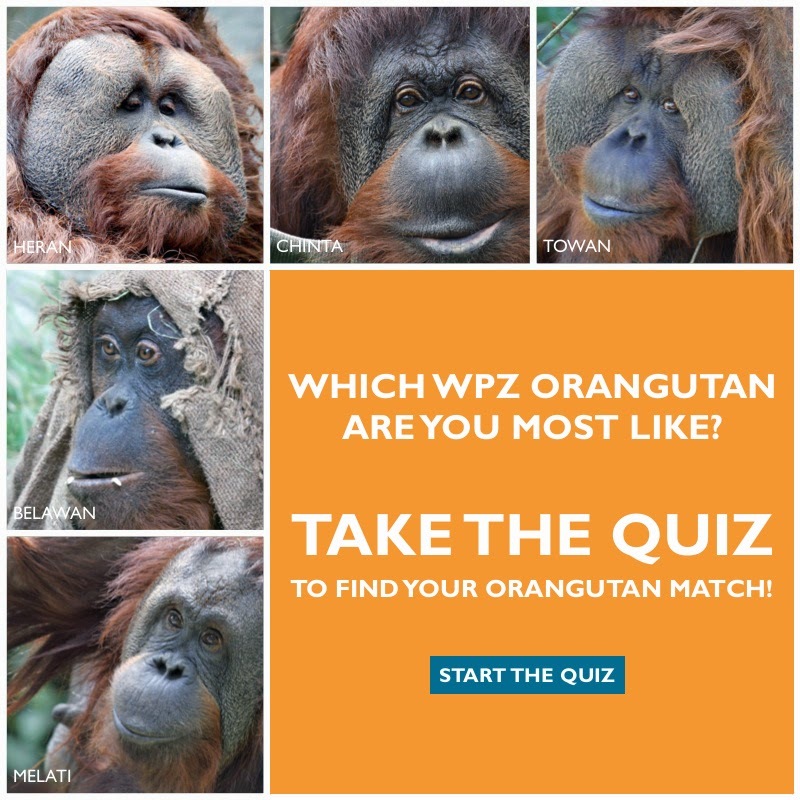 Woodland Park Zoo Blog: Which orangutan are you? Take the quiz! Would you describe yourself as sweet or commanding? Do you prefer Jell-O to peanuts? Take the “Which Orangutan Am I?” quiz to see which one of Woodland Park Zoo’s five orangutans you are most like—Towan, Heran, Melati, Chinta or Belawan. Come meet your orangutan at Asian Wildlife Conservation Day on Sat., August 9, 2014 to learn all about these amazing apes and what you can do to protect them in the wild. At the special event, free with zoo admission or membership, you’ll enjoy keeper talks and activities for the family at the orangutan exhibit, where you can take a pledge to protect this endangered species. 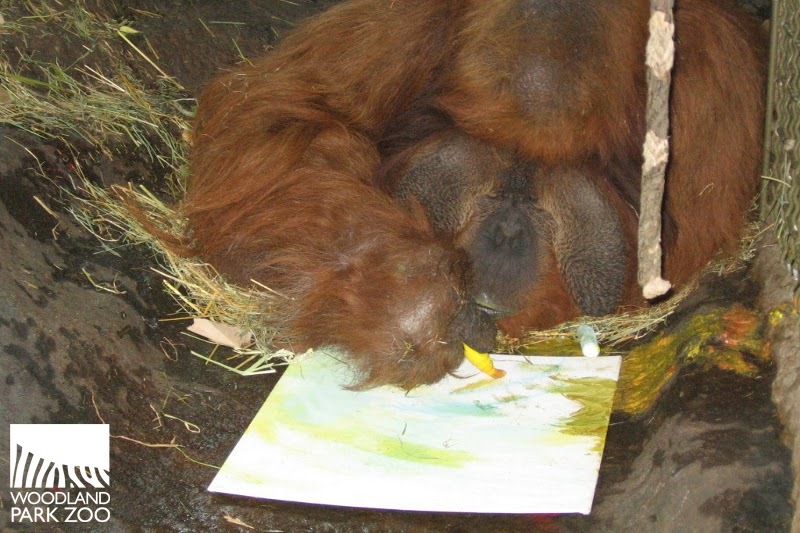 You’ll even have the chance to enter a raffle to win a painting made by one of our very own orangutans! Towan creates a work of art. Photo by Carolyn Sellar/Woodland Park Zoo. 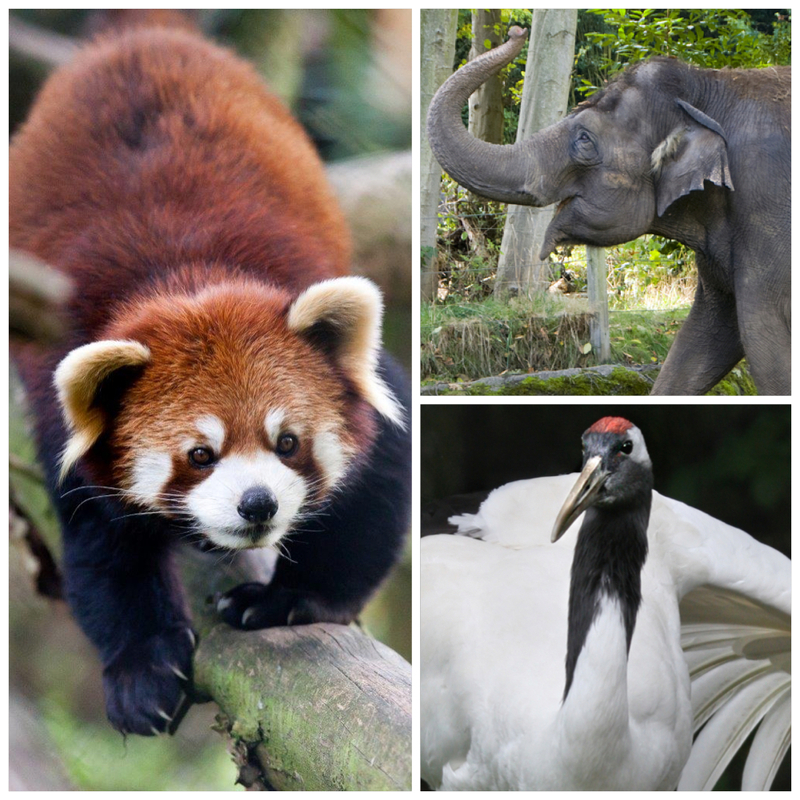 The activities continue across the zoo spotlighting conservation for a great diversity of Asian wildlife—from elephants to red pandas, and snow leopards to cranes. Photos from left: Red panda by Jeremy Dwyer-Lindgren/Woodland Park Zoo, Elephant by Ryan Hawk/Woodland Park Zoo, Crane by Dennis Dow/Woodland Park Zoo. Conservation stretches beyond the zoo and into the field, where Woodland Park Zoo works with partners and communities across Asia to protect and preserve wildlife—like our work with the Gunung Palung Orangutan Conservation Program to save orangutans and their diminishing forests. Every time you visit Woodland Park Zoo, you help make this work possible! Ready to join us for Asian Wildlife Conservation Day? Save time and buy your zoo admission online. See you there!